Justin Fox is Digital PR executive for Distinctly PR, representing Cheeky Munkey, which provides IT Support In London and across The UK from its base In St Albans, Hertfordshire. Over the last 10 years or so, the world we live in has become much more interconnected, with smartphones, tablets and everyday devices now routinely connecting with one another to provide services. While most of us are now aware of the internet of things (IoT), we may not yet realise just what impact it will have on businesses in the coming years. By using sensors to record data and the internet to transmit and collate that data, IoT devices can interact with other devices and systems to create solutions that are personalised to each individual’s needs. For example, IoT systems can monitor your home while you are out and alert you to anything suspicious. Using your phone’s GPS location, the system can detect that you have left or returned to the house and activate/deactivated security monitoring on that basis. IHS Markit forecasts that the IoT market will grow from an installed base of 15.4 billion devices in 2015 to 30.7 billion devices in 2020 and 75.4 billion by 2025 – which serves to highlight the enormous commercial opportunities that IoT technology brings. With increased automation of routine processes, it is hoped that human staff will be liberated to carry out more tasks that require creativity. One example of IoT devices handling routine work is in stock management and replenishment. An IoT stock system can automatically detect low volumes of specific products and reorder them, without any human intervention. The IoT also brings huge opportunities for advances in data storage and analysis. The recording of so much data, no matter how unimportant it may seem, enables businesses to gain real insights into their processes and performance, helping them to plan for the future and to improve current operations. Certain industries in particular look set to reap the benefits of IoT technology. In the pharmaceutical sector for example, many processes require meticulous control of conditions, such as temperature and humidity. IoT-connected devices can help monitor these things, detect errors and correct them instantaneously. 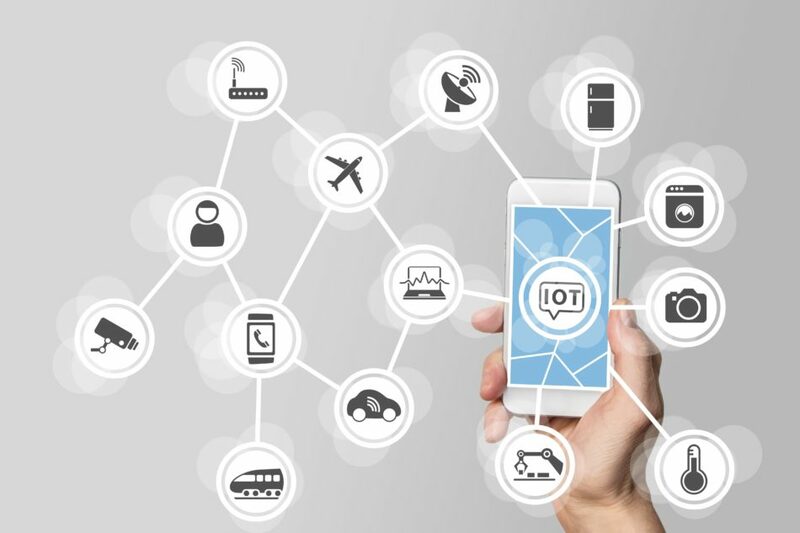 With so many connected devices and so much data to analyse, will IoT systems ultimately be prone to breakdowns and failure? Interestingly, it has been posited that IoT devices will actually include self-monitoring capabilities, so that they can measure their own performance and indicate in advance when maintenance or replacement is needed. While the Internet of Things might be set to dramatically revolutionise our personal lives and the way that our businesses are run, the risks affecting it are more or less the same as the risks faced by desktop computers or smartphones, with the biggest threat coming from hackers. As we hand over increasing levels of control to IoT-enabled devices, with little or no human oversight, we could potentially be putting opportunities in front of cyber criminals, who have the skills and determination to exploit security vulnerabilities. Sadly, hacking into bank accounts is fairly commonplace already. Distressing as it might be if it happens to you, the fact remains that this form of hacking does not pose any physical danger to anyone. If hackers were able to gain control of vehicles, environmental controls or industrial machinery however, people could be injured or even killed. If a criminal was to shut down a key system, such as a utility company or the BBC, for example, are we now so reliant on technology that are lives would be seriously impaired without it? With so many devices becoming interconnected, it will inevitably become harder to keep track of all security risks, either at home or in the workplace. We might be well aware of the need for security protection for our desktop computers, but how many of us realise that seemingly innocuous devices such as a TV, doorbell or toaster may need just as much monitoring and protection? It seems inevitable that over time, we will see more and more cases of security breaches coming through these vulnerable back doors. The basic approach for IoT security is the same as for any internet-enabled device – that means using common sense when using or interacting with a device. If a software program or security update feels suspicious, or a physical device such as a USB stick doesn’t feel quite right, play safe and stay away from it. 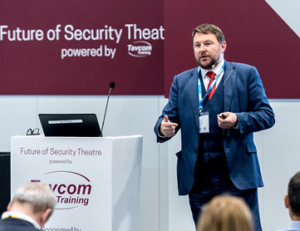 In the commercial world, educating staff about basic internet security can only go so far and specialist monitoring systems, controlled by skilled IT security staff, are required. Whilst IoT devices can accumulate security data, human staff are needed to assess that data, look for unexpected patterns and take action when faced with a threat. Undoubtedly, because of the sheer scale of the IoT revolution and the scope for its integration into all of our lives, it is almost inevitable that there will be serious security breaches and errors along the way. However, the same could be said for any mainstream technology in its early days. It’s to be hoped that developers, designers and end-users will become more used to working – and living – in an IoT-enabled world, leading to better security and awareness across the board. If that happens, then future headlines will no doubt be filled with positive stories about the improvements in productivity and efficiency in the workplace brought about by the Internet of Things, as well as the personal benefits we can all enjoy in our lives. This article was contributed by Cheeky Munkey, a provider of IT support services in London and the surrounding counties. The internet of things: A beginner’s guide to commercial applications and security risks Over the last 10 years or so, the world we live in has become much more interconnected, with smartphones, tablets and everyday devices now routinely connecting with one another to provide services.